Welcome to our Glamping page. 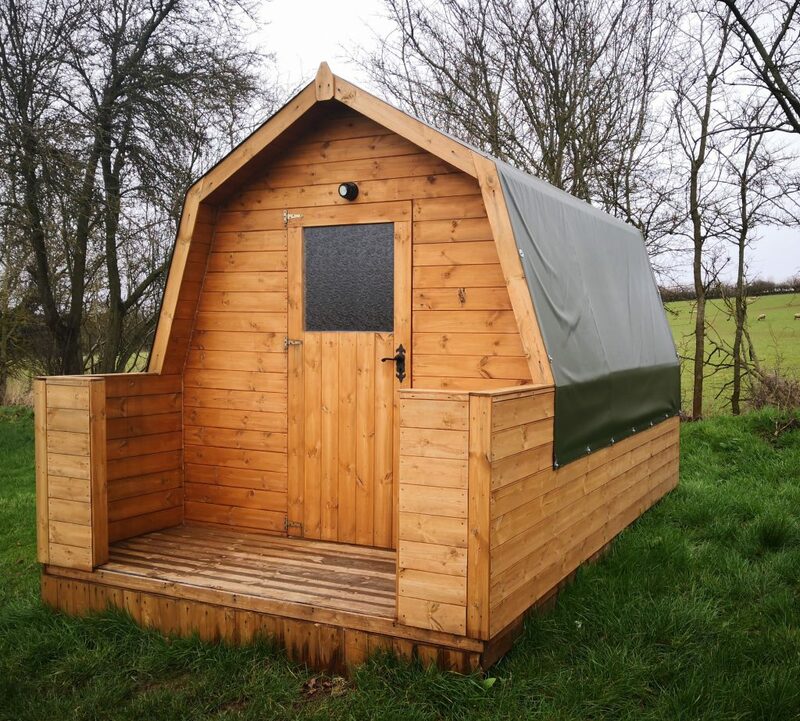 Here you will find all you need to know about our new for 2019 Glamping accommodation, but also how to book and pay for it! 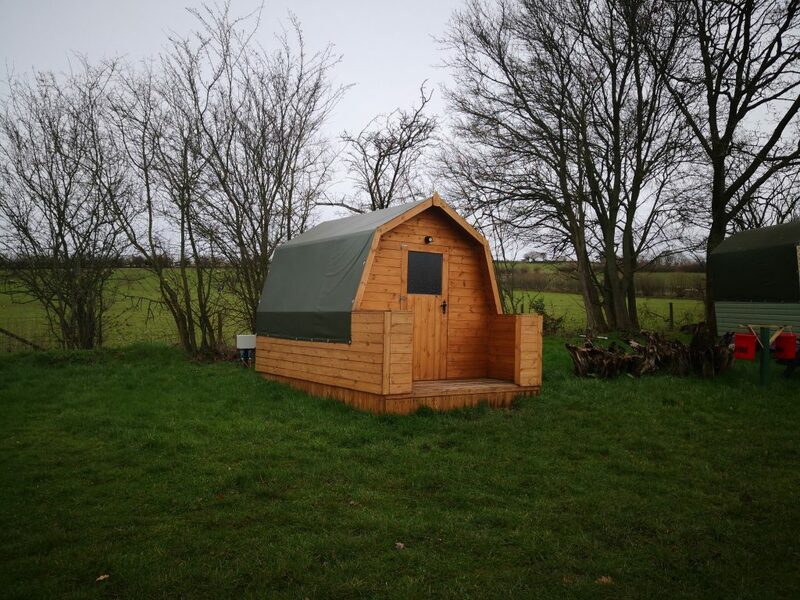 Our GlamPod Lodge is suitable for up to 3 people, with a double and a single bed. There’s heating and space for your luggage, with steps onto the front porch. 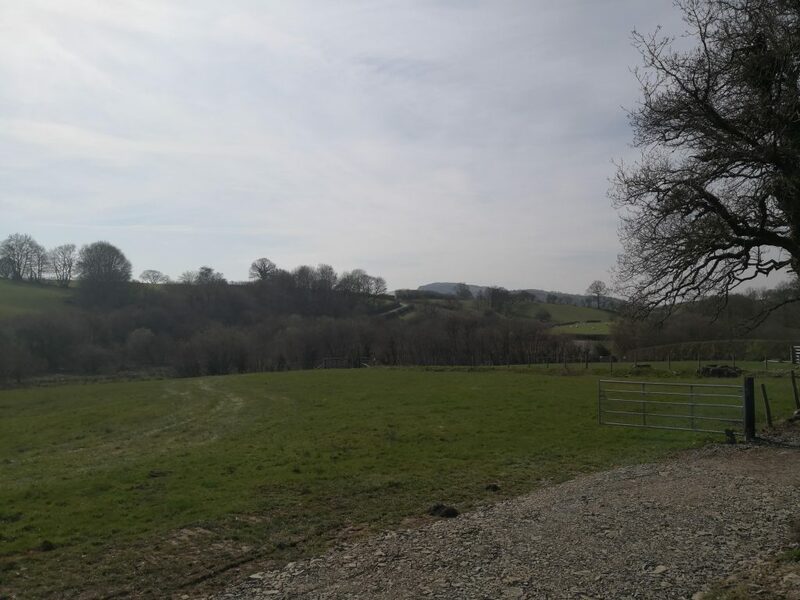 The view to the front is one of the best at Gwaenynog, looking towards the hills and mountains. Tucked behind our stone barn, this area offers sheltered space for that tucked-away feeling. An area is set aside for cooking and eating, with a picnic table and a fire pit/BBQ space. The toilets and showers are nearby next to the Dutch Barn, and shared with the campsite.